Ultrasounds have become the modern stethoscopes. Physicians and technicians use them every day, in every area of care, to go beneath the surface and increase our understanding of a patient’s internal organs, tissues and vessels. 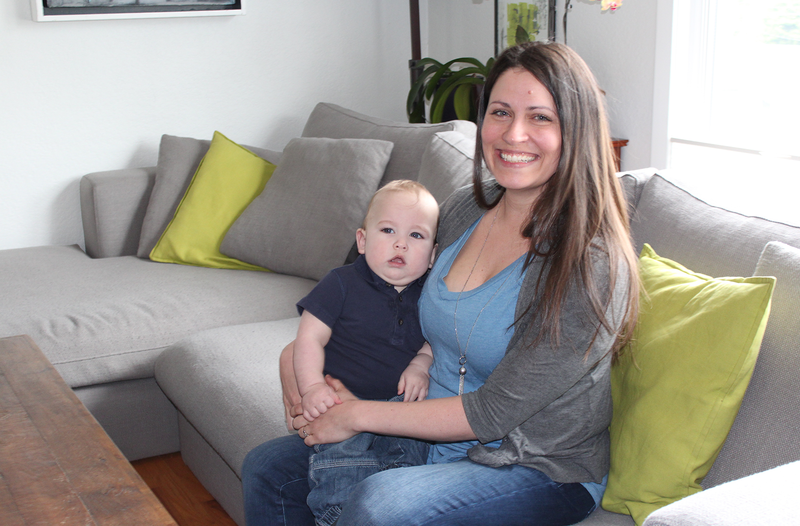 Read the remarkable story of a new mom, Jill. Today, she survived cancer thanks to our medical teams and the advanced ultrasound technology that donors like you have helped to provide. Last summer, Victoria General Hospital became a bittersweet place for our family: it was where our first child Weston was born and where a short six weeks later I was diagnosed with a cancerous mass. As a brand-new mother with a newborn baby, this was a terrifying time. One moment I was breastfeeding my sweet little boy and the next I was crawling on his bedroom floor, barely able to breathe. Shortly after his birth, I experienced pain in my right side which I attributed to the C-section. By that night, it had become unbearable. My husband Bjorn drove me to the Emergency Department at Victoria General Hospital, where I was seen right away by doctors and nurses. The care team conducted an ultrasound on my abdomen and found the sources of my pain: kidney stones, thickening of my gallbladder and ― more worrisome ― a 2 cm by 3 cm tumour lodged between my stomach and my pancreas. The news horrified me. What if I had pancreatic cancer? My mom had cancer. Should I have known I would get it too? How would my son grow up without a mom? How could I leave my husband behind to raise our child alone? Thankfully, the care team at Victoria General Hospital had the next steps planned out for me. They conducted an endoscopic ultrasound to determine the exact location of the mass. By inserting a small, flexible tube equipped with a camera through my esophagus, they found it was located in a very tricky spot. Surgery was the only option. Due to the nature of the tumour, I went into the operating room not knowing if I would lose half my stomach, if it was cancerous or if it had already spread to other organs. Using the images conducted by the two ultrasounds, the surgeon removed the mass through a small incision made in my abdomen without needing a more complex open surgery. Miraculously, I was at home recovering with my family and holding my baby within a couple of days. Thankfully, test results found that the tumour was a very low grade cancer, meaning the cells could have spread had it not been found early on. For that, I thank my son Weston ― whom I now call my miracle baby ― and the many caregivers at Victoria General Hospital who treated me and helped me on this journey. Today, I am in full remission and getting ready to celebrate Weston’s first steps. This whole experience made me realize the importance of medical equipment, especially ultrasound technology. Speaking personally, I may not have been here in a couple of years had the ultrasound not caught the mass. Leading-edge equipment combined with highly skilled professionals really does make a difference.